Some people love beer so much that they put big beer signs in their home. 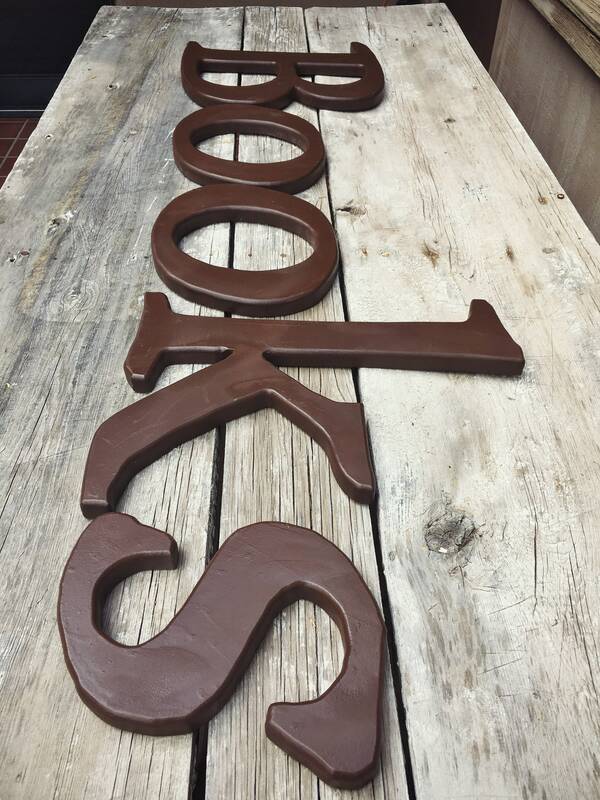 Well, other people love books so much that they'd LOVE a set of wooden letters that spells out the word "Books." 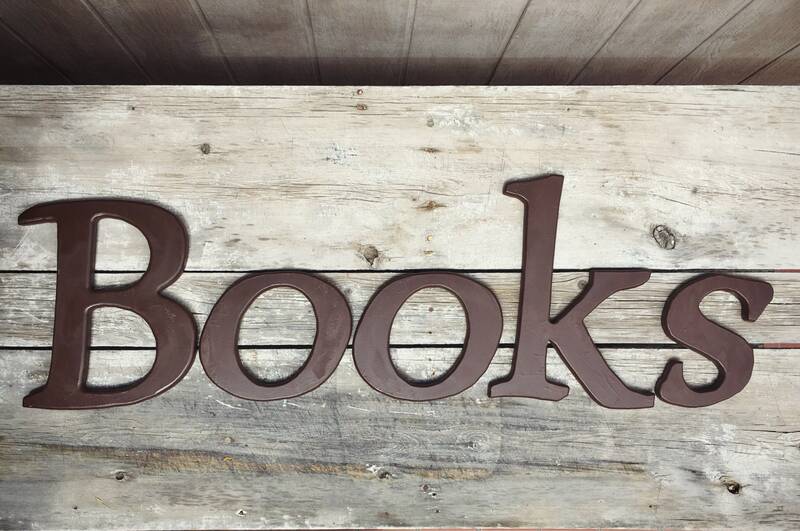 These wooden letters were actually used in an antique store that had a Books Section. The materials used to attach the letters to the wall is still on the back not terribly easy to pry off. But it may come in handy depending on how you use the letters, so I'm keeping it on the backs. The capital B measures just over 13" tall by about 10-1/2" wide and just under 1" thick. 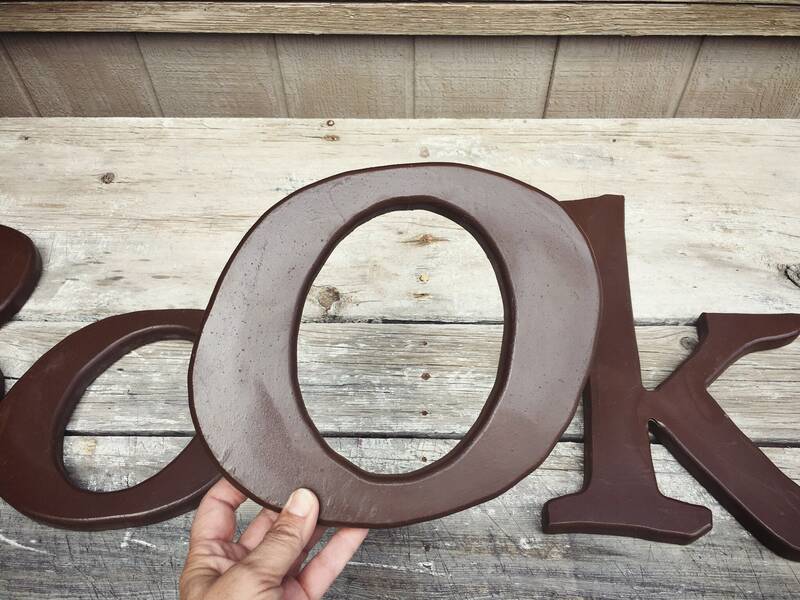 The smaller letters are all about 10" tall with the "k" being taller, of course. When spaced out in the way you might on a wall, the word measures about 48" wide. 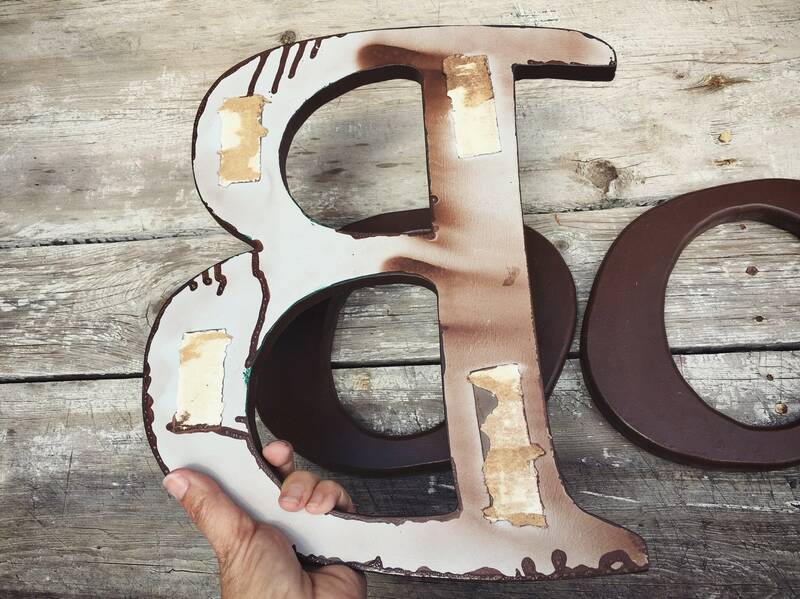 This was well used, so expect scratches and scuffs in the paint and as mentioned the material adhered to the back of each letter. 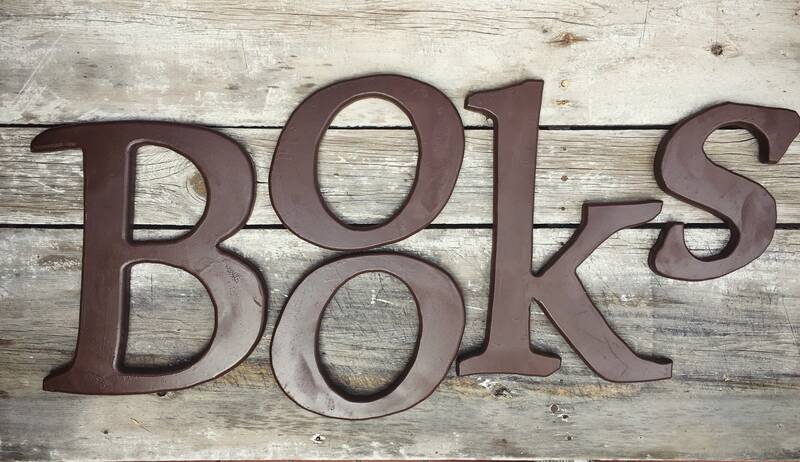 For old school book lovers.